Ah, what a nice weekend. Saturday I went to the Pacific NW aviation Conference and Trade show. It was fun to listen to a couple of seminars and spend a little time with the EAA 326 group. One thing that Mark Baker (president of AOPA) talked about is the three top priorities that AOPA is focusing on this year. The most interesting to me (at least today) was a comment he made about the third class medical changes that they are pushing for. He said he expects some kind of movement in the next few months. Thats huge for me! 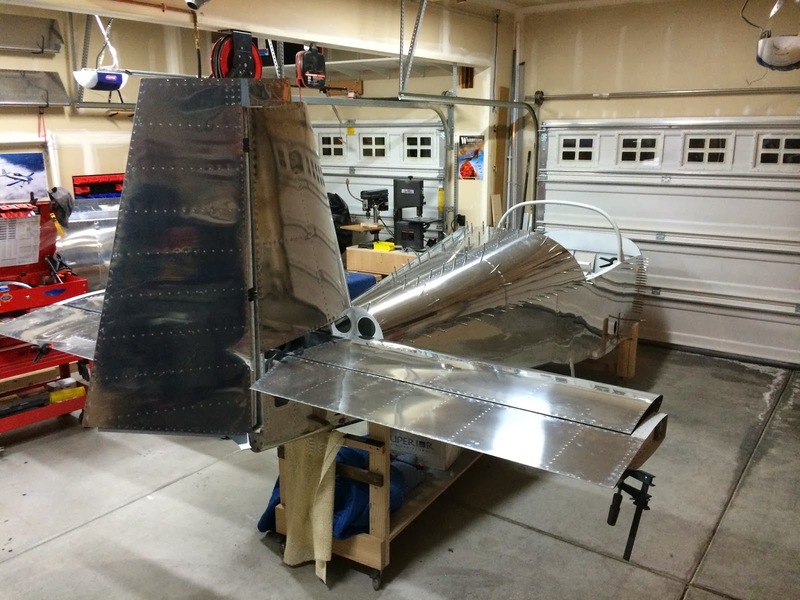 Ok as far as the airplane goes I was able to get the Horizontal Stab, Elevators, Vertical Stab and the rudder hung this weekend. I have a few pictures to show you below. 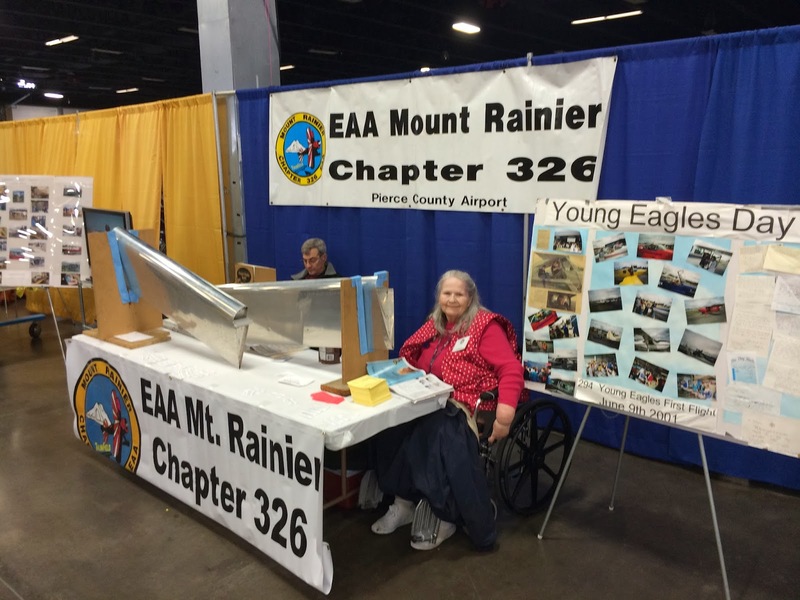 The EAA chapter booth at the show on Saturday. Next door is the Team Flight display. 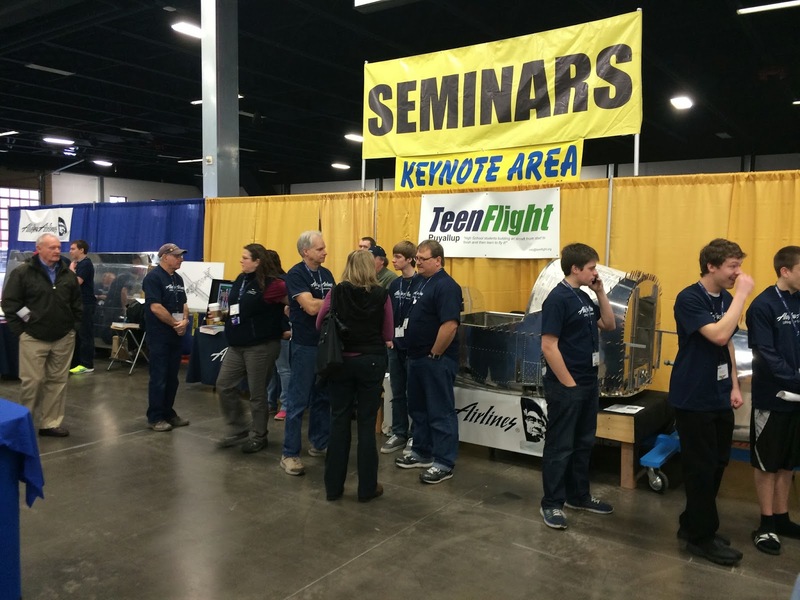 This is a pretty neat program where the kids actually build the airplanes. Very cool. 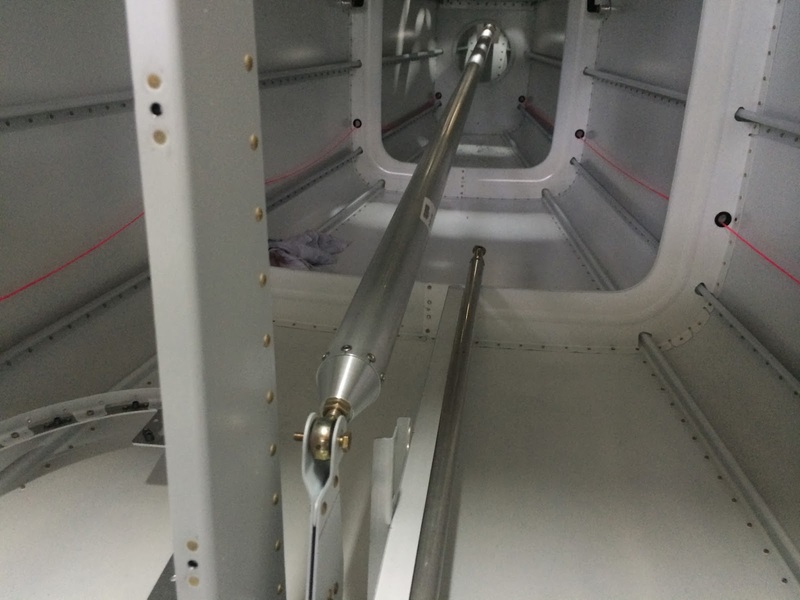 This is where the elevators get connected together and attached to the control pushrods. If you look down the that dark hole you can see where they all come together. Here I am clamping the elevator to the HS so that I can align the two elevators and drill them to the control linkage. This is what the other end of the control linkage you saw above looks like. This is the belcrank that eventually connects to the control stick. 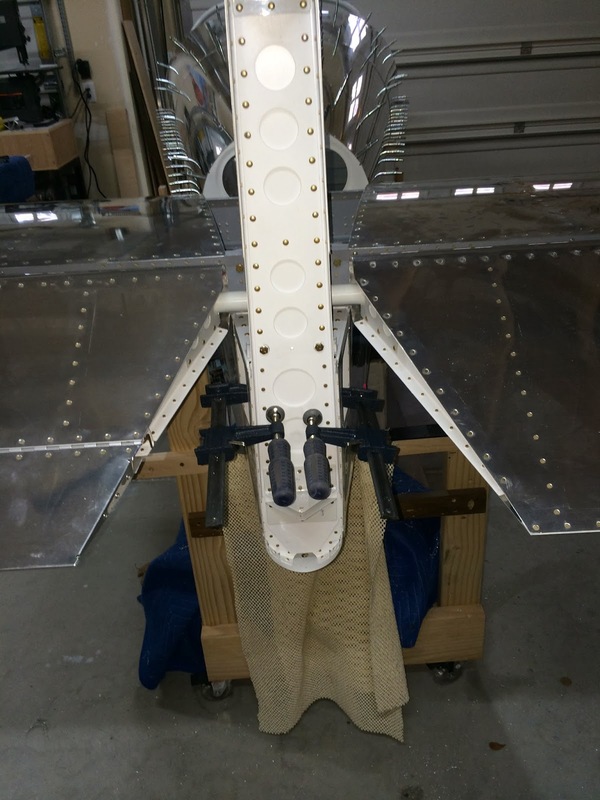 If you look under the Vertical stab you can see the point where it connects to the fuselage, or at least the forward connection point. 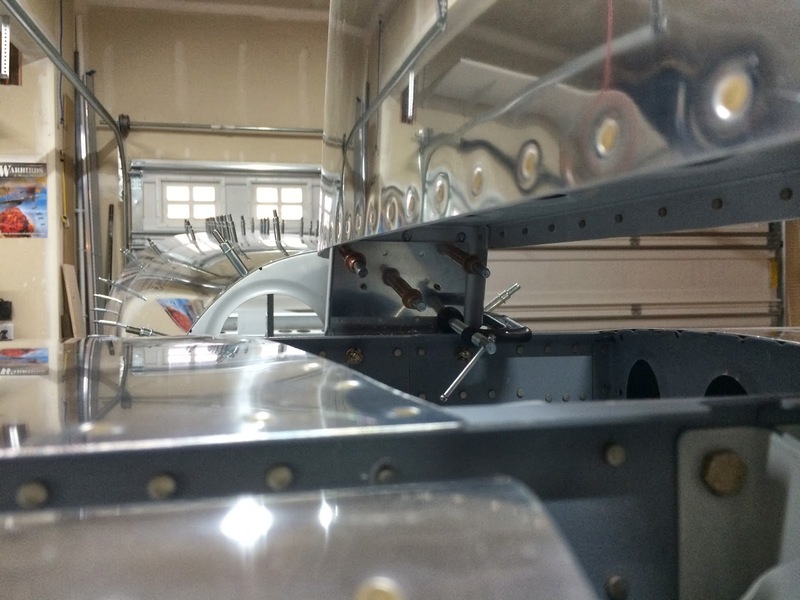 This is an area of intense scrutiny right now because the manufacturer of the kit recently released a service bulletin about potential cracking here. 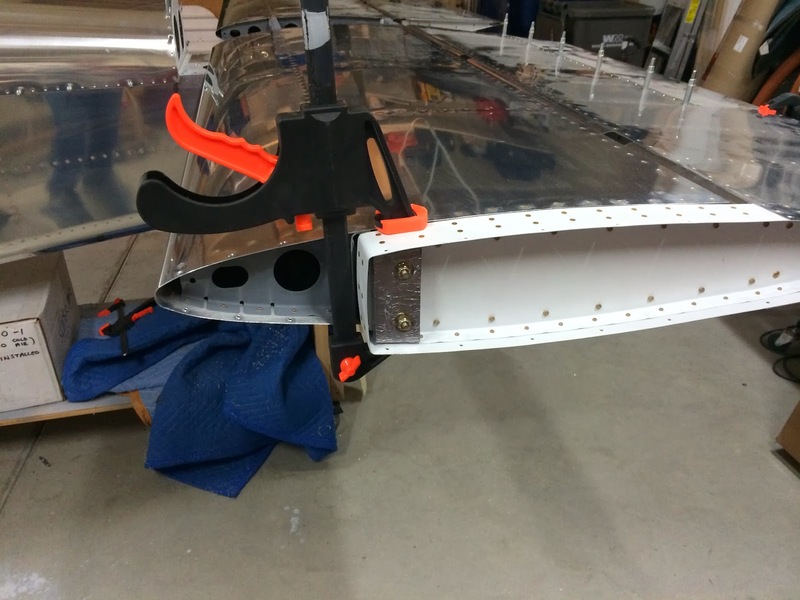 Here I am clamping the Vertical stab (VS) to the fuselage so I can drill the many holes for bolts that hold it to the airframe. 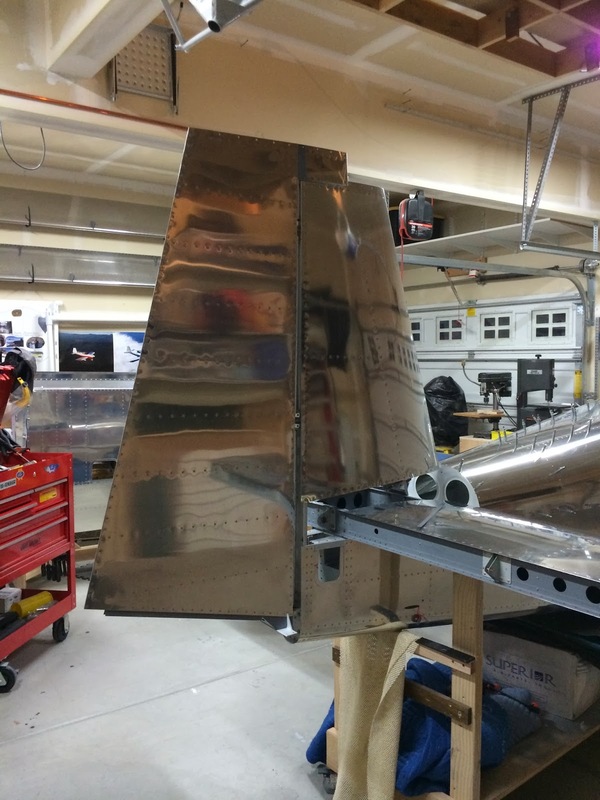 Rudder attached, the first time... one of many. 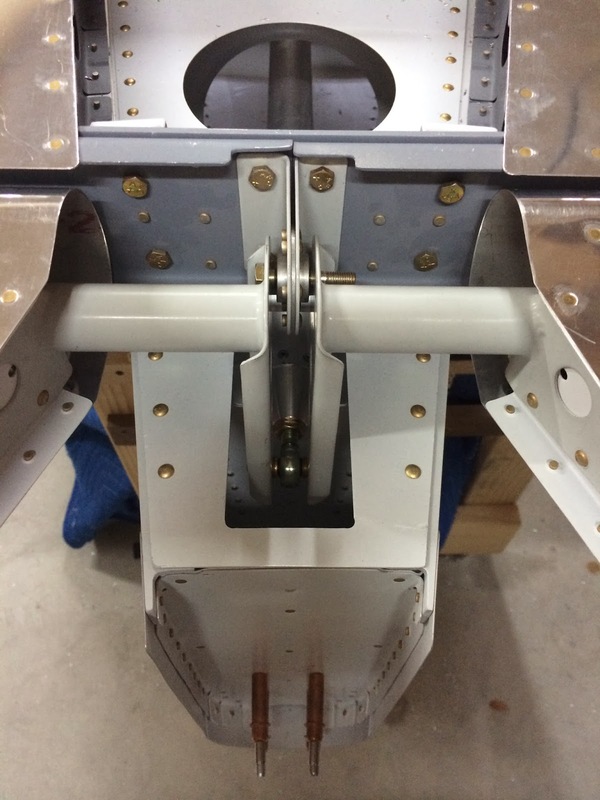 This is the internal rudder stop. Vans has you place them externally but I like the way this looks and operates better. And finally this is what things look like tonight after a longs days work. 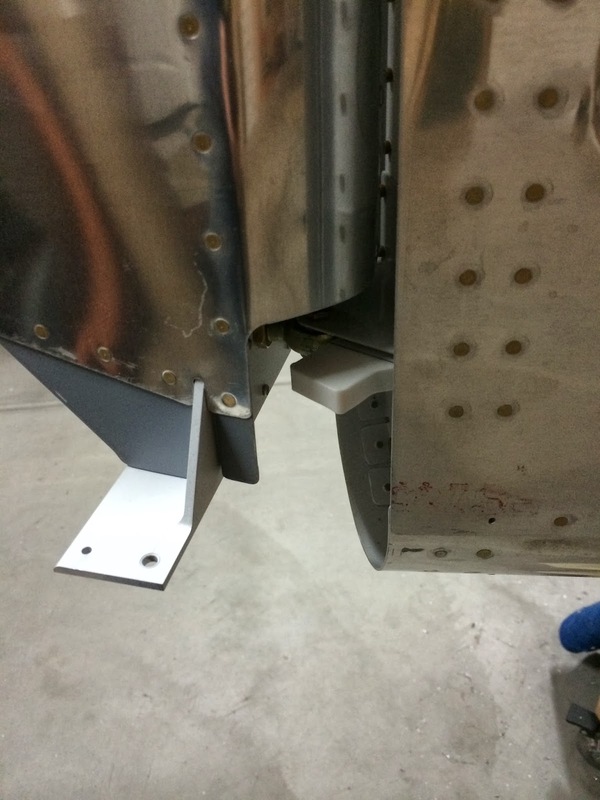 Still a little work to do on the rudder stop to get the full 35 degree's of deflection. I did try to put the fairings on the top of the VS just for fun but its too far up for me to reach. This thing is getting big quickly! Once I put it on its own gear it will really stand tall.